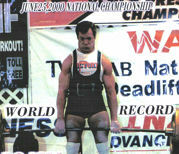 John Tyree has been a 27 time Texas State Champion, 12 time US National Champion, and 7 time World Champion power lifter over the past 30 years. 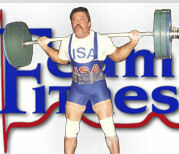 He has also coached 14 Texas State Champion, 4 US National Champion, and one World Champion Power Lifting Team. He has designed and coached strength training regimes for high school, college, and professional athletes. 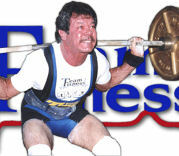 He was inducted into the Texas Power Lifting Hall of Fame in 2005. If you, your team, or your school needs an expert power lifting coach, just pick up the phone and call (972) 998-6281 or email us today. All ages. Team, group, or individual coaching. Seminars. Concentrate on the mind to muscle connection. Muscle - NOT momentum - moves the weight. Resist gravity. You - not the weight - are in control. POSITIVE ATTITUDE = Great RESULTS! Always breathe more deeply than necessary. If you feel any pain (not just the training effect) stop immediately. The fastest way to your goals is to progress slowly. Make every repetition a quality, effective rep.
Be aware of the four disciplines of fitness. Practice all for complete fitness. LIVE WITH TOTAL CERTAINTY - WE WILL SUCCEED. YOU MUST FIRST BELIEVE TO SUCCEED!! Our seminars are available to high school and college players and coaches, and are taught by 7-time World Powerlifting Champion and International Powerlifting Consultant, John Tyree - the coach of Team Fitness (2001 WADBL World Champions). The Winning Attitude - how to "Be the best when it counts the most"
I have known John Tyree for over 10 years as a personal trainer and coach. He was my personal trainer and coach at the Duncanville Athletic Club. He has always been professional and at the same time motivating. It was because of his dedication and commitment that I was able to achieve the Texas Power Lifting Title in my age and weight category for the single dead lift. I had no idea that this was achievable, but under his direction, I was able to reach a lifelong goal. John distinguishes himself by consistently providing exceptional personal training. John is devoted to his career and always strives to reach goals that he not only sets for himself, but for his clients as well. He is always courteous and polite and he has great people skills. Tyree's style of training is effective, demanding, and safe; he is able to push the limits of your ability and keep you uninjured. As a former certified personal trainer, in the past I have referred my clients to him and now I still do not hesitate to highly recommend him. Tyree has been an invaluable resource to my own fitness ventures as well. Through his motivational techniques and training knowledge I have been able to tremendously increase my strength in the three primary lifts used in power lifting. My bench press increased from 225 lbs to 495 lbs, my squat increased from 315 lbs to 650 lbs, and my dead lift increased from 275 lbs to 600 lbs. Tyree is an important asset to any person seeking to increase their fitness level, from the beginner seeking to fulfill their New Year's Resolutions to the competitor seeking to enhance their skill. Fitness Consultant, Personal Trainer, Powerlifting Coach. 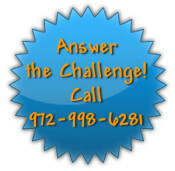 Home area is Duncanville, Cedar Hill, DeSoto, Dallas, Mansfield, Arlington, Fort Worth. Will travel world-wide.